Simply put, trend analysis in aviation SMS is an activity that is used to target patterns in your safety program that might otherwise be “lost in the noise” of your safety data. Patterns can be related to behavior, occurrences, or other aspects of your safety program. Patterns are identified within your chosen time period. 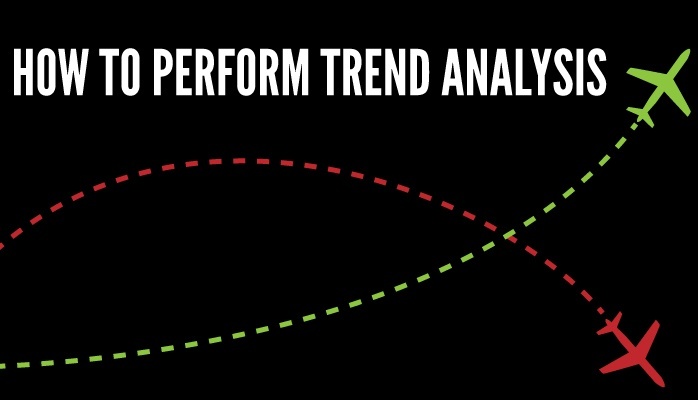 As trends are identified over a period of time, trend analysis is usually linear. However, it is possible to identify trends that are non-linear. Trend analysis is one of the simplest, but most powerful methods for data analysis. It is an essential reactive risk management and Safety Assurance activity. Here is how to perform trend analysis in aviation SMS. Number or high risk, initials risk assessments over time. There are many trends you can choose to target. It’s simply a matter of reviewing the data that you have collected, and choosing which data to hone in on. Trends are analyzed within a given time frame. To target a trend, you need to start by deciding which time frame best fits the trend you are attempting to identify. When identifying trends, it’s important to consider your “data points” within those trends. Seasonal trends: you might have data points for each week. So, when deciding your time period, also decide how specific you want your data points to be. That specific data within the given time period. This seems like a self-evident step, but in more complex trend analysis this step is very important for verifying the accuracy of your data. After choosing the types of data needed, simply gather your data. In automated aviation safety databases, this is very simple because the data is gathered automatically. You simply need to apply filters to your data. In manual safety programs using point solutions or Excel, this data will need to be gathered manually. Depending on the level of organization and detail, this can be easy or hard. The purpose of gathering data is to filter out all information that is not relevant to your trending target. The SMS database will allow safety managers to quickly sort and filter data based on identified requirements. Using MS Excel spreadsheets to store hazard reporting data is not an optimal solution. You may have heard of the EASA requirement for all required aviation SMS need to use hazard reporting databases to store reported issues. Y axis is the number occurrences for the data pattern you are identifying. Using automated SMS database software, these charts are created for you. In manual systems, you will have to plot these charts manually. Identifying trends is relatively simple. Either you see a pattern in the data, or you don’t. Predictable peaks/valleys at certain points on the graph. Trend analysis becomes more complex when you compare one trend against another in order. This can result in the identification of a more complex trend, such as the relationship between lost time injury trend data and employee turnover trend data. Advanced trend analysis data is akin to aviation leading indicators. However, you should be careful in performing advanced trend analysis because, while it is very powerful, it can be prone to error and false conclusions – correlation does not equal causation.